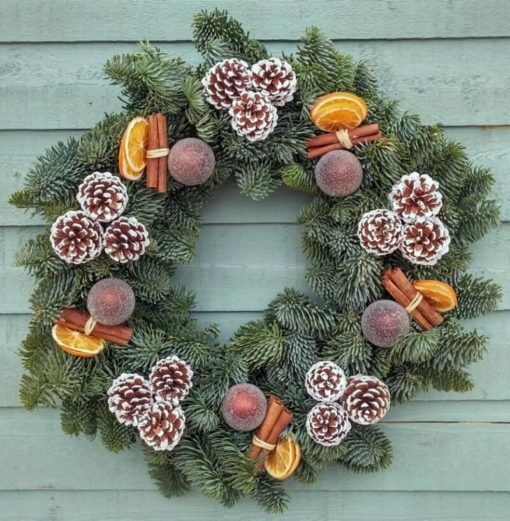 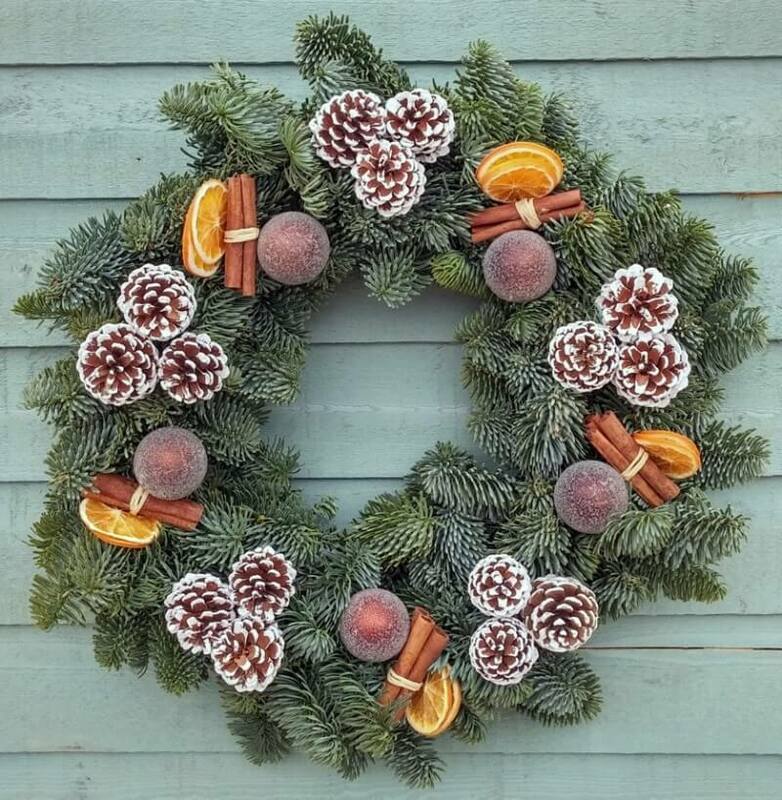 The wonderful Spicy Chocolate Wreath is bedecked with frosted pine cones, cinnamon sticks, dried orange slices and decorative baubles. 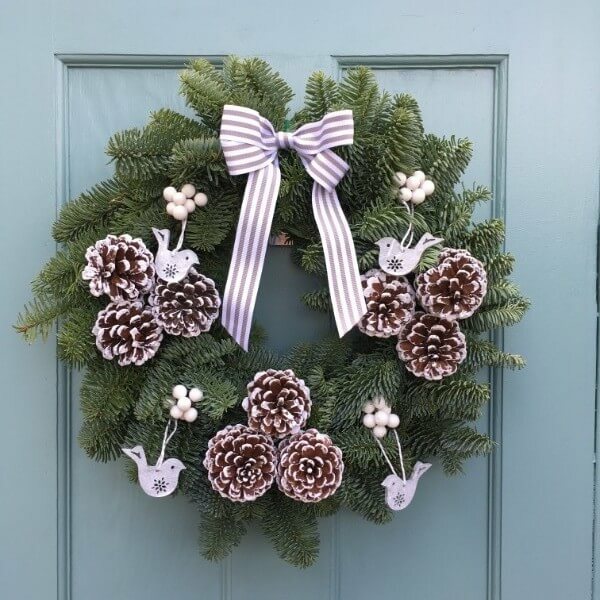 It’s the perfect mix of natural materials and decorative flourishes, and we think it’s fit to adorn any door. 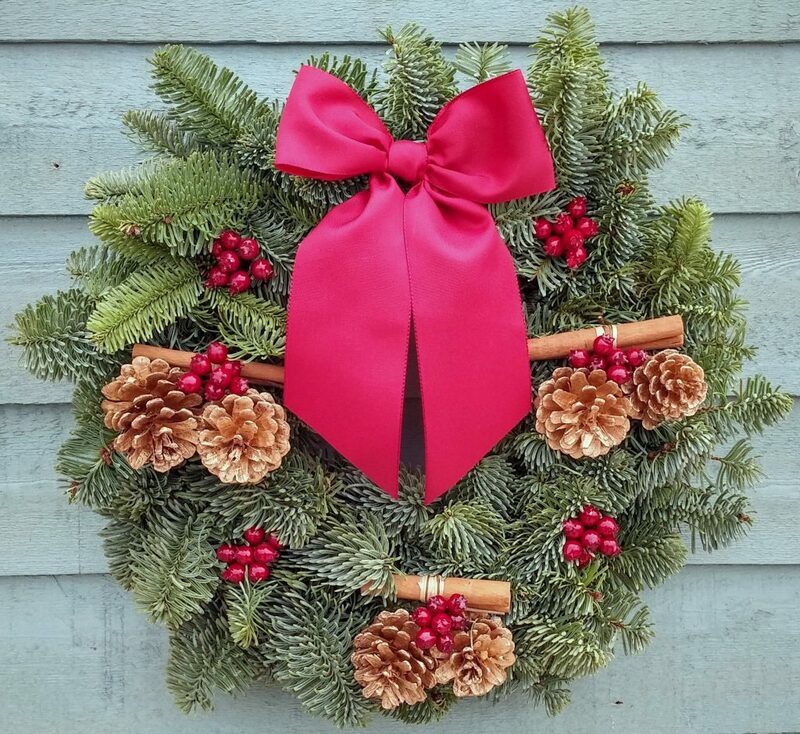 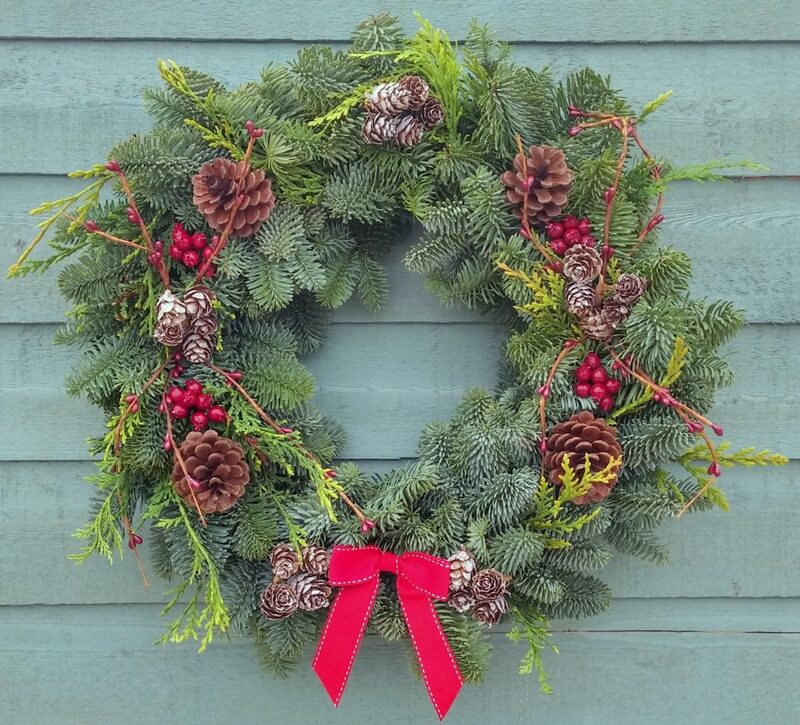 Don’t forget that all of our Christmas wreaths are made from fresh cuttings. 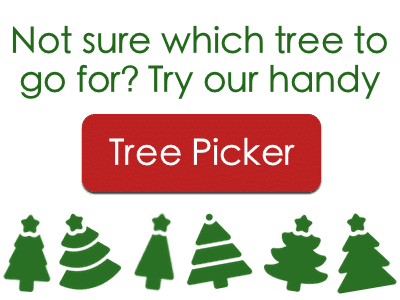 Thank you so much the tree was fantastic, out standing, the best tree we have ever had, you have a customer for life.